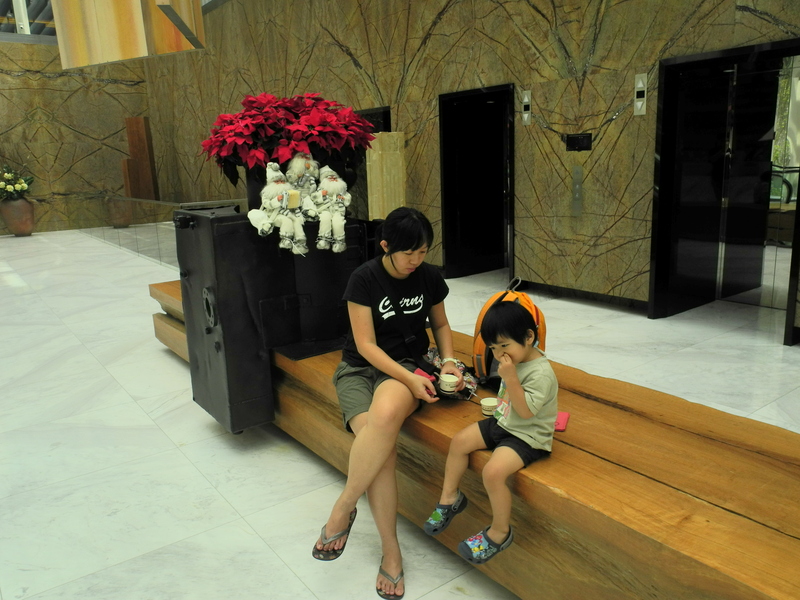 It was quite a last minute decision to have another Sentosa Staycation. 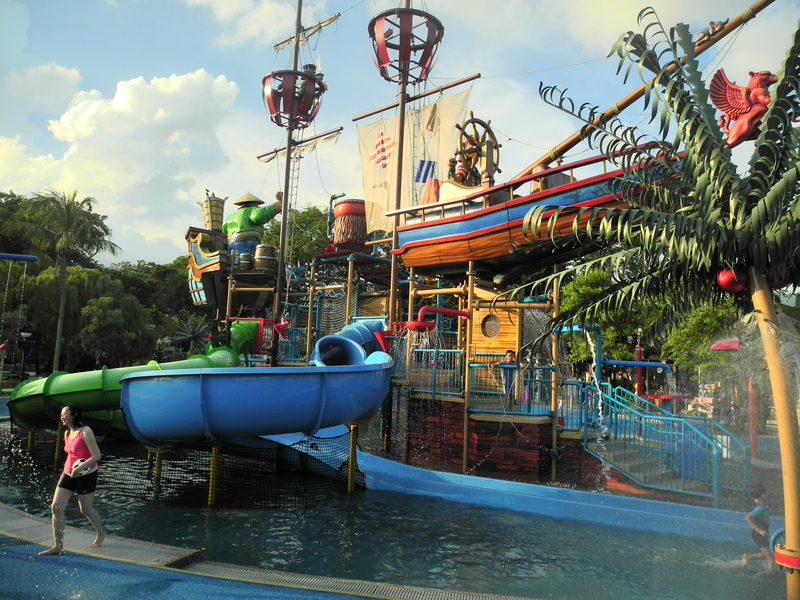 Had been wanting to go Sentosa again for sometime, but somehow, could not find a suitable time. 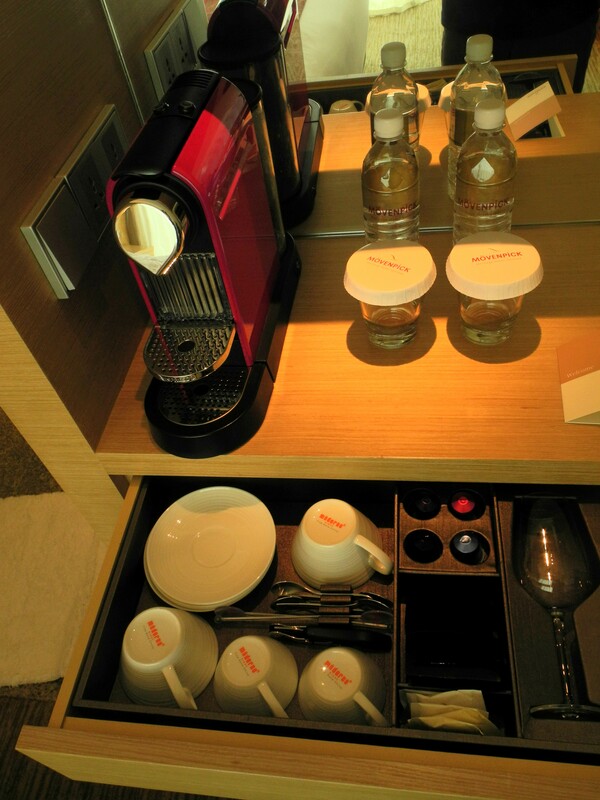 And when we finally found a window period and a good hotel deal, it didn’t take us long to make a decision to go. 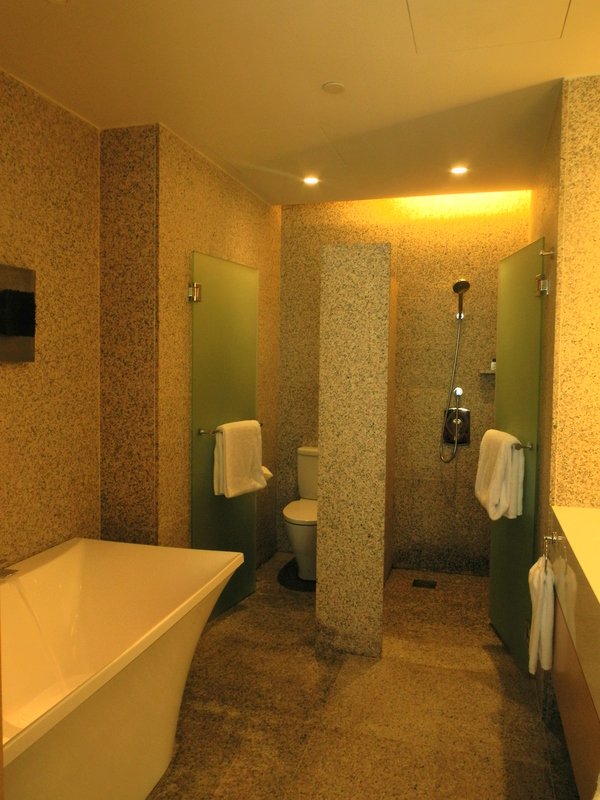 We got a good deal at Movenpick Heritage Hotel. Had wanted Hard Rock Hotel as the swimming pool there seemed nice, however, it was too expensive. Anyway, I was pleasantly surprised by how nice it was. It was one of those colonial buildings that were refurbished. And I also realised that it was the building next to Scripture Union campsite – one of the sites where we did our wedding photo shoot. 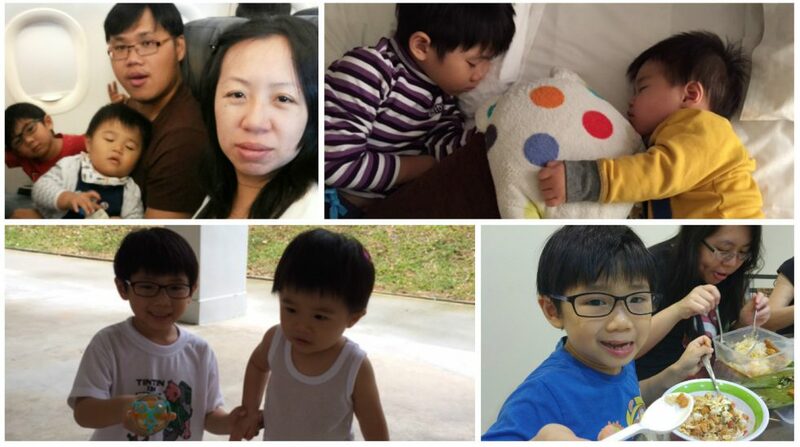 Sentosa is a significant place for Ivan and me – it was where we first got to know each other during my first church camp at Cornerstone in 2000. It was also where Ivan proposed. Hence being back to the site where we first met brought back fond memories. 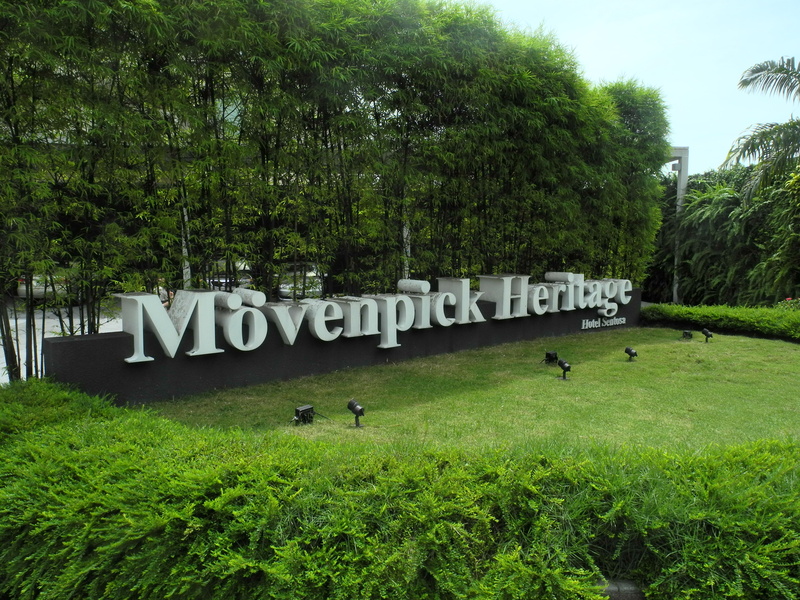 We were welcomed with Movenpick ice-cream after we checked in. The location of the hotel was good too. It was walking distance to Palawan beach and it did not take us too long to walk to over to the Malaysian Food Street at Resorts World for lunch. Food was not bad but it was super crowded …. In the evening we brought Daniel to Port of Lost Wonder. We were looking for it and kinda stumbled into it by chance. Did not even realised that we needed to pay entrance fee till we saw that other kids had a tag on their hand. But it was almost closing time and time to leave. It was a really fun water place and we decided to return tomorrow again. 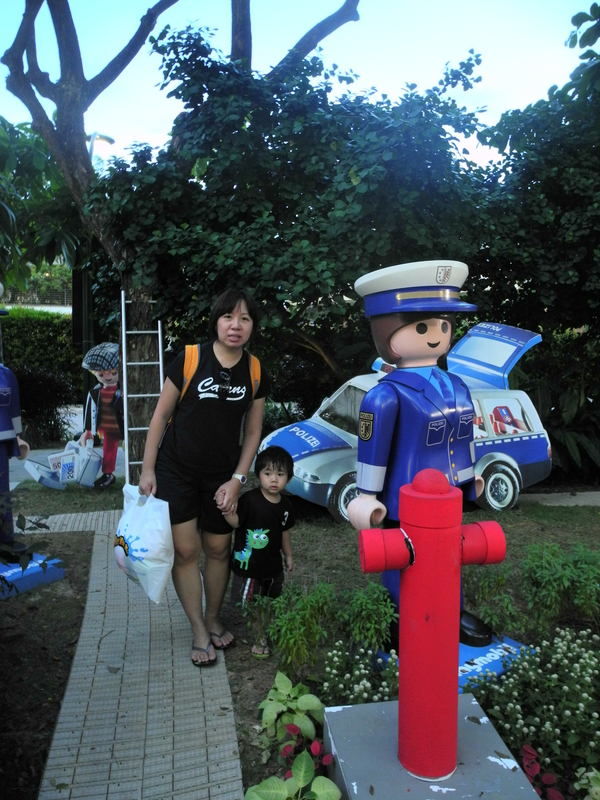 We visited the Playmobil exhibition which was around the area but were rather disappointed by it. Wanted to go to the beach but it was getting late hence we proceeded for dinner at Malaysian Food Street again!! Our second morning started quite well. We spent the whole morning at Port of Lost Wonder. In the afternoon, Ivan stayed with Daniel for his afternoon nap while I went out to meet some friends. I had made a prior appointment to meet up with two of my busy friends and decided to keep it though it was a little troublesome to drive out of Sentosa. Nevertheless, I did enjoy the staycation though it was cut short by illness. Hope to be back again next year!